The Solaris Megastar LED 20K is designed for temporary floodlighting large areas such as sporting applications is now available with the high performance Lithium-ion battery. The advantage of the Li-ion battery over the lead acid is primarily weight difference, they powerpack is much lighter and is more stable when stored in a discharged state for long periods. 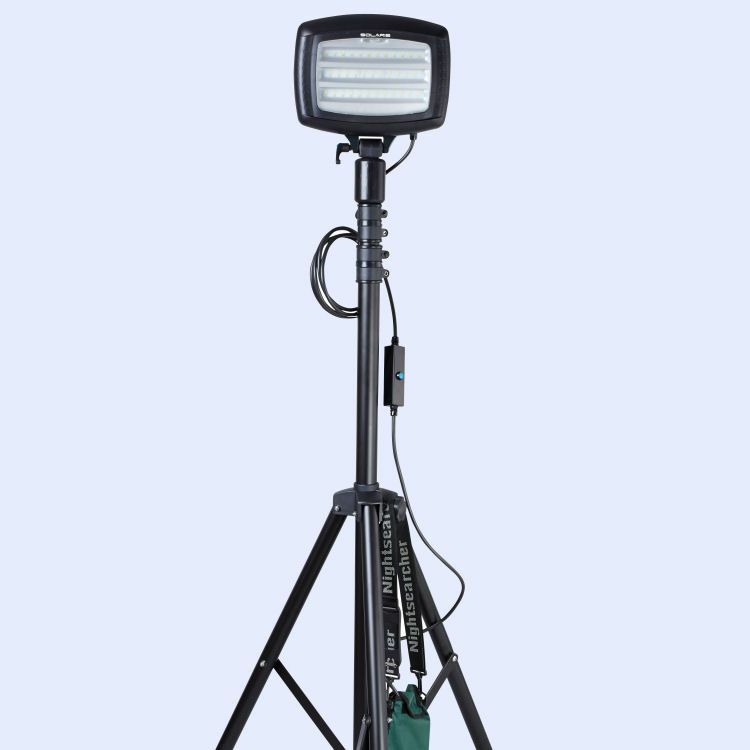 It is ideal for lighting large areas such as sporting applications. Eight units will illuminate a 60x40 meter area, ideal for training and coaching applications. They can easily be set up in under 2 minutes and used anywhere. 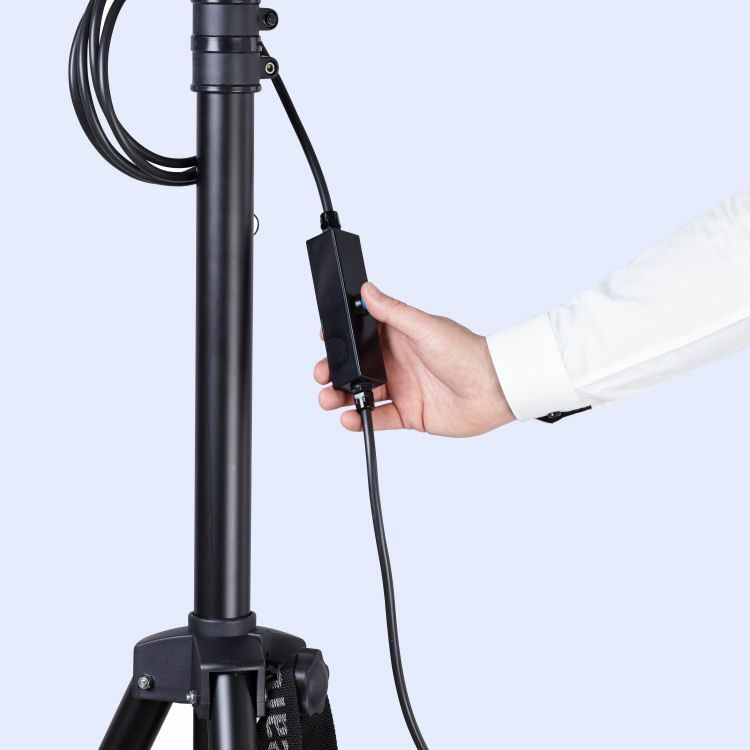 The lightweight aluminium tripod has double extending safety locking sections that can be secondarily secured using the attached locking pins. Lightweight and easy to carry and store, the quick and easy deployment means these lights are also ideal for emergency services, military and construction sites. The Megastar Lite also has a Control switch on the power lead to change the light settings. Supplied with AC Charger, tripod 20K Head and powerpack. * Light Output: 20,000 / 8000 / 4000 / 2000 lumens. * Head Size (mm): L300 x W58 x D248. * Height: 1500mm (extends to 3500mm). * Tripod Weight: 4.5 kg. 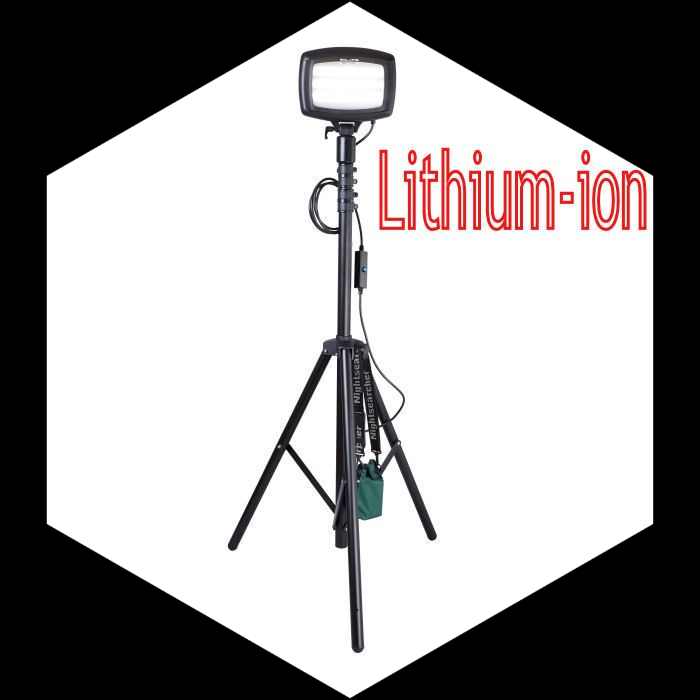 Supplied with Ac Charger, 20K Solaris Head, Tripod and Li-ion Powerpack. 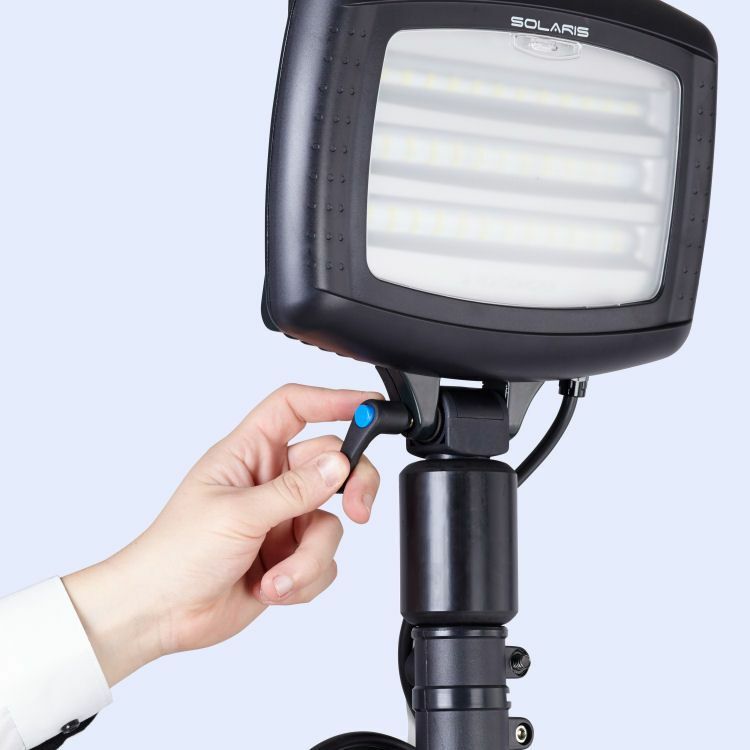 Environmentally friendly, the 20K Solaris head is robust and can light large areas. The 20,000 lumen maximum light output is more efficient giving better running times than conventional LED floodlights. The Solaris head uses 3x30degree angle linear optics reducing light pollution and effectively doubles the LUX value on the target area (compared to conventional LED floodlights). All Solaris heads are cool to touch with no noise and fully portable running from the rechargeable powerpack. The benefits of Lithium-ion technology is the batteries are robust, lightweight and maintenance free meaning that you can be sure to consistently get the best light output throughout the products life span.